With its ingenious design and reassuringly heavyweight construction, the 175 series offers a high level of resistance to virtually all common forms of attack. With its protected hardened steel shackle, ball bearing locking mechanism, hardened steel armoured jacket, anti-pick mushroom pins, and drill resistant keyway, the 175 series is extremely tough under attack. 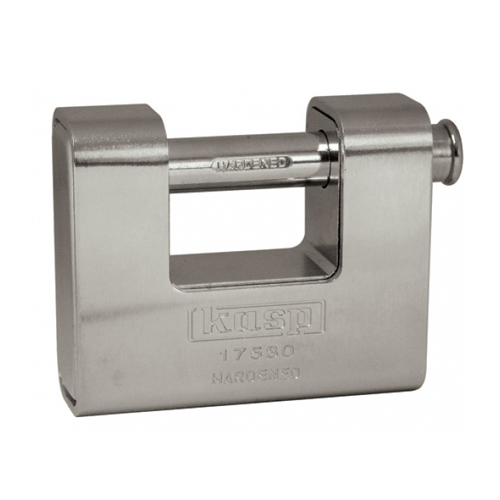 Hardened steel shackle - Extra protection against hacksaw and cropping attacks. Ball bearing locking - Extra strength to resist torsion and pull attacks. Solid brass body encased in a hardened steel jacket - Extra strength and resistance to corrosion. 5 pin cylinder with anti-pick mushroom pins - Extra protection from lock picking. Paracentric keyway - Extra protection from manipulation. Drill resistant cylinder - Protects the cylinder against drill attack. 2 keys are supplied with each padlock.